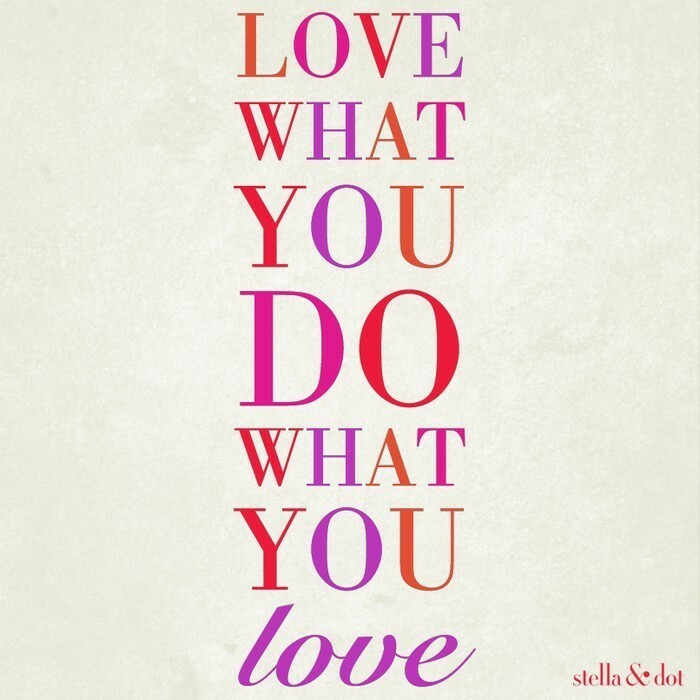 FROM YOUR STELLA & DOT PERSONAL STYLIST! Thank you to all of my hostesses, customers and supporters! 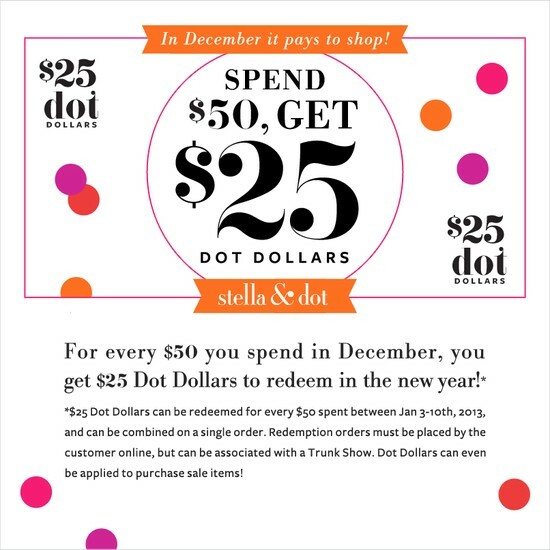 I want to thank you for all of your support as I've launched my Stella & Dot business this year! My business wouldn’t be what it is without all of you! I wish you all a fantastic holiday season and 2013! Be festive and be fabulous in your jewels! Take some stress out of your holiday shopping? Let's cross off all of those lovely ladies on your gift list (girlfriends, mother, sister, babysitter, teachers, etc.) with something sparkly, a luxurious scarf or a personalize charm necklace. Gifts arrive in about a week in stylish ready to give packaging! Your holiday gift buying doesn't get any easier, or more fun! Take a look below at a few of our fabulous holiday specials and then contact me for personal shopping! Have something on YOUR wishlist? Send me the contact info. of the person you'd like me to drop a little hint to! The NEW Spring 2013 Collection is coming January 11th- Be the first to Preview! 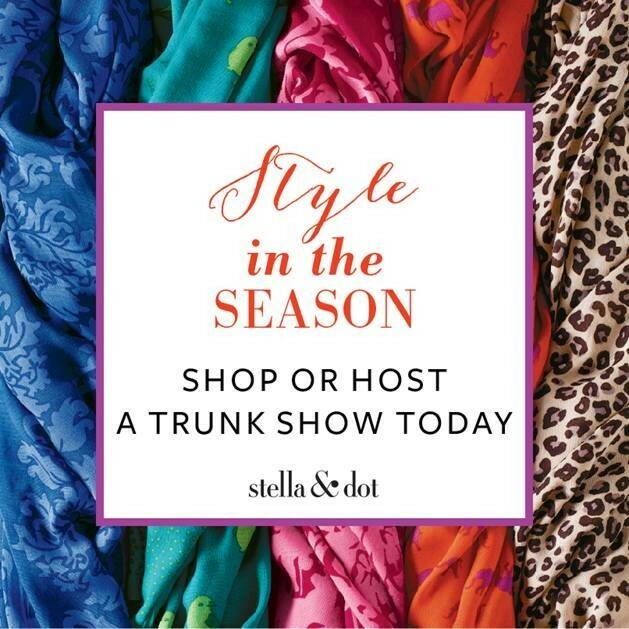 Book a January Trunk Show today to be one of my Debut Hostesses! Now booking January 18-31st (and beyond) with 60+ new pieces from Spring 2013. 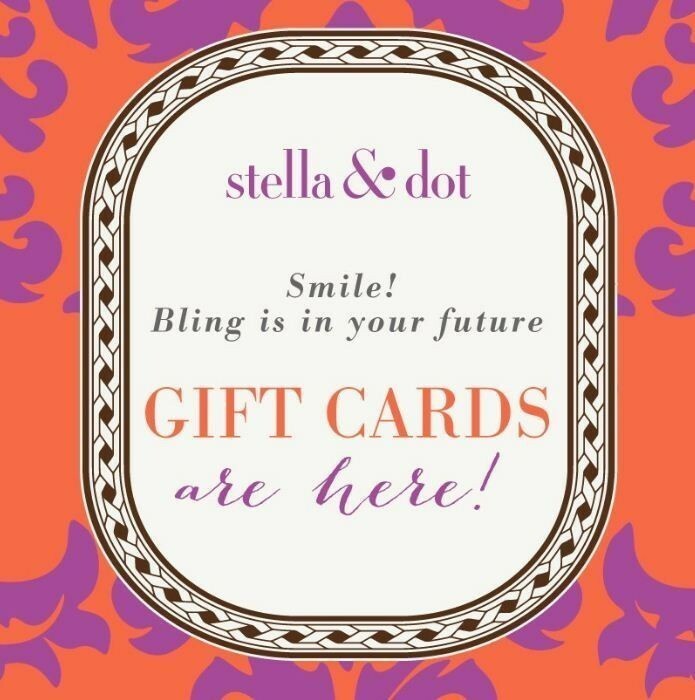 Earn $250+ in free jewels for having a fun girls night out! In addition to the Hostess Bonus Days Special, I will be giving every hostess in January & February a free Bryant Park Scarf ($59 value)! Another special gift will be given to hostesses who save their date by December 20th! I am booking my 2013 Trunk Shows now! 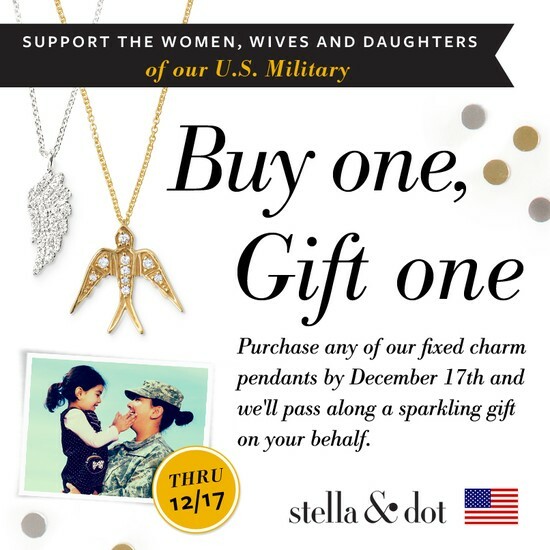 Earn $100s in free jewelry and shop at 1/2 off! It's a great reason to get your girlfriends together! Contact me to secure your date! 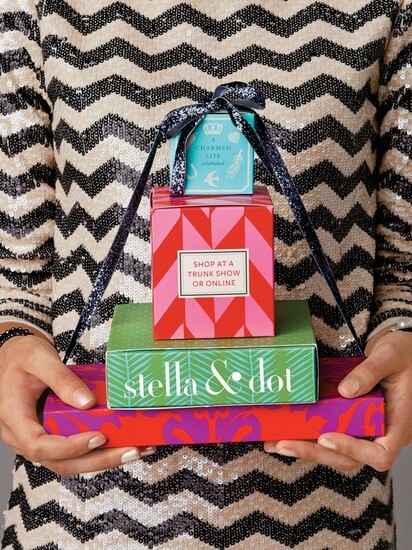 Share the love and style with everyone on your list with the Stella & Dot e-Gift Card. Arrives in about two hours via email to your recipient and can be personalized with your own message and choice of designs. Send yours today! Contact me directly for a tangible card mailed to her w/ free shipping! Thank you for supporting my business in 2012! I wish you and yours the happiest of holidays and a fabulous New Year!